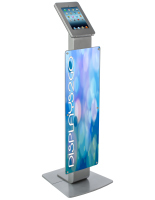 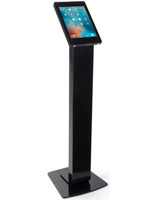 This iPad kiosk with literature pocket is constructed of durable steel for use in high traffic public areas. 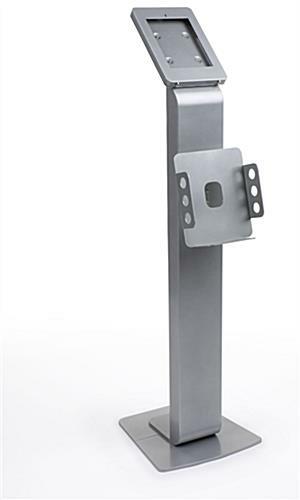 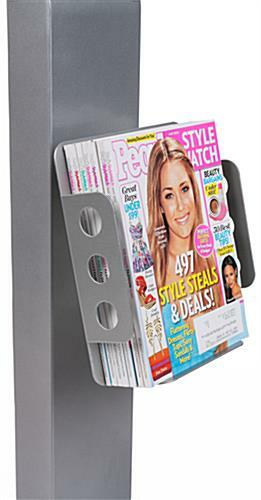 Designed to accommodate multi media marketing campaigns, the 54" freestanding silver steel post has a 9.5" x 10.5" magazine bin as well as a dual-lock tablet holder. 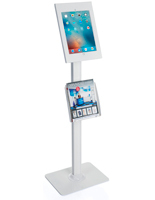 Each sturdy kiosk with literature pocket incorporates a 4-outlet power strip in the hidden, lockable rear storage cabinet. 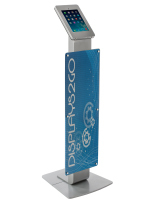 This type of multiple display is perfect for campaigns that combine interactive programming with printed material. 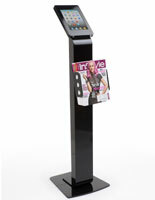 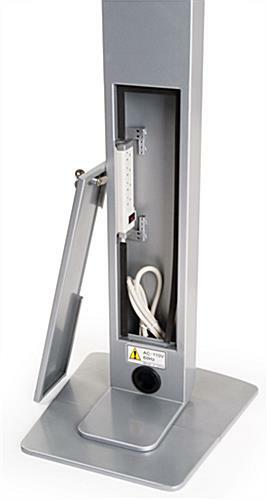 The freestanding kiosk with literature pocket is perfect for holding sales literature, flyers, catalogs or circulars. 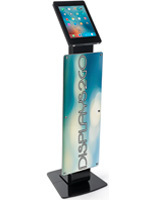 Blocked home button access prevents unauthorized program use but allows full rotation and tilt for device visibility. 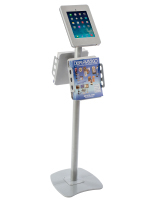 Please Note: Although this stand offers full rotation between portrait and landscape orientations, the device's power cord and the cable channel will be exposed in landscape orientation use. 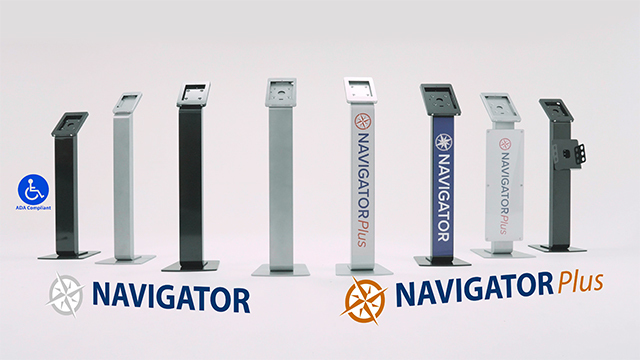 15.3" x 54.0" x 17.5"
8.3" x 10.8" x 2.8"
8.3" x 11.8" x 1.0"